With energy costs in BC increasing every year, adding attic insulation can increase the overall efficiency of your home therefore saving you money. The attic accounts for a large percentage of your homes heat loss and when poorly insulated it has the potential to cause costly problems. The insulation in your home likely already exists, however building codes are much different from when your home was build and more often than not require a higher R value. Most cost effective heating upgrade. 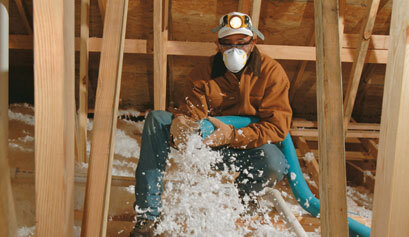 Making a decision about a company to handle your insulation needs is difficult. Why not trust the company your neighbours have been trusting for insulation since 1986?